Those, like Cross Rhythms, who down the years have charted the development of contemporary Christian music will know only too well that the last few years have been a difficult time for music with a Christian ministry dimension. For various reasons international sales of all forms of Christian music recordings are down from their peak in 2007 while several of the biggest Christian music festivals such as the USA's Cornerstone Fest and New Zealand's Parachute Festival have had to fold. Against this stark reality an event has emerged in Britain which incrementally has grown in attendance year by year and in every way has today become one of the most significant events in the history of contemporary Christian music. 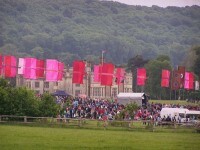 The Big Church Day Out began in 2009 and since its inception has been held in the grounds of the stately home Wiston House in Steyning, West Sussex. In its six years of existence BCDO has played host to most of the biggest names in Christian music including Michael W Smith, Israel Houghton & New Breed, Graham Kendrick, Switchfoot, Toby Mac, Tim Hughes, David Crowder Band, the Newsboys, Chris Tomlin, Matt Redman, Casting Crowns, Hillsong United, Amy Grant, Jars Of Clay, Rend Collective, Third Day, Guvna B and Fred Hammond as well as offering a stage to dozens of up and coming artists. This year's event, to be held on 23rd and 24th May, is surely the most impressive ever with acts due to appear including Jesus Culture, Bethel Music, Lecrae, Switchfoot, Gungor, LZ7, Martin Smith, Needtobreathe, Jason Upton, Christafari and Rend Collective likely to attract an attendance of 25,000 plus. 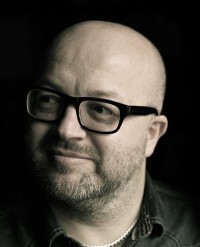 The Big Church Day Out's founder, Tim Jupp, is a visionary veteran of contemporary Christian music who in years past became known to hundreds of thousands of music lovers around the world as the keyboard player of rock worship pioneers Delirious?. I met up with Tim at a church in Derby and began by asking him whether, when Delirious? decided to call it a day in 2009, did he already have a plan for the Big Church Day Out? Tim: No. In fact, I think, that's what made the ending of Delirious? for us all quite difficult, because most of us didn't have a Plan B. Part of what kept us going and very focussed for so many years was we just had a Plan A. Many ways, no, I had no plan for Big Church Day Out, although the DNA of what flowed through us - and I guess with me personally, through the band thing - is the same DNA that flows through the Big Church Day Out, in terms of bringing the Church together and seeing the presence of Jesus touch peoples lives. A lot of what we did in Delirious? was that we helped other people all across the world in many places who had a vision of bringing the Church together: We helped facilitate that by travelling around and going to their large events, because they had a vision for whatever God was doing in their nation. We would go and partner with people to make that happen. Tony: I've never known BCDO use the word "ecumenical", but do you consider yourself ecumenical? Tim: It's one of the great things about music and worship, it's an amazing thing that music can gather people together. On that long journey, Delirious? got involved with so many different expressions of Church - from the Pentecostal end of things to sometimes more traditional things with the Catholic Church. You realise that this crazy thing called 'church' is an enormous thing. In Delirious, we were only ever one very small part of this huge jigsaw puzzle of Church. I think being in the band was an amazing privilege, and not everyone gets that opportunity. As you travel the world and see all the shades and colours, the different parts of Church, you realise that God's church is so huge. I can remember trips to places like India, where you could go into the worst places in some cities and find maybe a group of Catholic nuns who have poured their whole lives into serving the have-nots of this world, but I was brought up in a very mainstream evangelical Baptist church, so my theological worldview might be slightly different to those wonderful ladies - we may not end up on the same page with everything - but when you said to them, 'Why are you doing what you do?' they'd say, 'Because we fell in love with Jesus and we want to serve him all our lives'. You think, 'This crazy Church thing is enormous!' With the Big Church Day Out for me, I'm not wanting to start something that's another thing: the thing for me is the Church. Here's a space - we want to create a space - for that thing that's already there, which is the Church in all its wonderful expressions, just to have an opportunity to come together. Tony: How long was it between leaving Delirious? to making the first steps towards setting up the Big Church Day Out? Tim: What's amazing for me personally is that the initial conversations started exactly one month before Martin dropped the bombshell on us that he wanted to call it a day. As we travelled the world and saw all these great, huge events, I often wondered whether we'd see something big again in the UK. If you go right back to the early days of Delirious? - we were the house worship band for an event in Littlehampton that met once a month with a thousand young people - and at the end of every summer term we would have a huge gathering on the beach, and I think after the third year of doing that we had over 10 thousand people. It had a huge impact on our town. I wondered whether we'd ever do something like that again. He started to explain about how they'd been praying for the land over the years, and people had given them words of encouragement saying, 'I can see tents all over the land.' He was prodding me and thinking, 'Is this the person that's going to help us deliver this vision we have for bringing the Church together?' He got incredibly excited, and I have to say that I was excited too: it felt like a God story. I said to him, 'Hang on a minute. This is really exciting - I'd love to be involved - but right now we're really busy in the band; we've got enough plates to spin in our lives. The other thing is, you've no idea how much these things cost. We don't have any resources.' We'd long since stopped selling lots of records, because the business had changed. So we left it at that. Two weeks after, I got a call from this other great guy who had a huge vision for bringing the Church together. He'd done an event in London; it hadn't worked out well, and he'd lost a lot of money. I said to him, 'Would you be interested in getting involved in something in Sussex?' He knew Harry who owned the land: he had a house five minutes from the estate, where he used to go at weekends. He had a connection with the community and the land, and he got very excited; he wanted to help fund something. So now I've got a landowner who's really excited, I've got a business guy who's really excited, and I'm saying to them, 'I can't do anything with all this because the band's too busy!' It was two weeks after that Martin decided 'That's enough for me: I'm going to call it a day' - and that was that. All of us had a different journey, and it wasn't the easiest of times for any of us, but I had been excited about this conversation about seeing the Church come together. I went back to everybody involved and said, 'I might have a bit more time on my hands'. So we got the conversation started again. In that last year of Delirious? ending and us still fulfilling a lot of commitments, I got the idea for the Big Church Day Out; I started connecting with church leaders - mainly in the south of England. Could it be possible to have one day in the whole year where we lay down our own agendas, just bring the Church together in celebration? They said, 'That's interesting. How many people do you think would come?' I had to pluck a figure out of the air, because we'd never done this before. I said, 'Maybe seven or eight thousand'. We had a licence for 15,000 people; 10 days before the event we'd sold out. That first year, 2009, we had amazing hot weather. Delirious? was just at the very end of what we were doing: we were able to play the first event. We had terrible problems with traffic, people stuck outside with no infrastructure; we had no tea, we ran out of food by 5 o'clock in the afternoon because we hadn't booked enough, and half didn't turn up in time. It was that classic first year festival kind of thing. But somehow we felt God smiled on it. Hi Tim good to read the Godstory of bcdo again - what a fantastic time it was again this year! I love the 'tribes' coming together, to relax n have fun n just enjoy good music. Love that there aren't loads of stages as keeps unity, love that there isn't the pressure to go to seminars (can do that elsewhere, n makes it easier to invite others), love the easy but deep conversations with those you stand next to in queues, and to be in a crowd of thousands worshipping under the stars on Pentecost was awesome! Thanks. Thanks for a great interview with Tim who I have met on a number of occassons including being a Delirious fan from the early days of Cutting edge to bringing my family to the Big Church Day Out from the beginning. Tony your music journalism is always a pleasure to read and it was great to meet you last year during an IONA gig at BCDO.